3. once it became clear those guerrillas could not take Damascus, the US supported the “deconfliction zones” also suggested by Russia as a way of preserving the rebel areas from complete defeat and putting down a marker on negotiations toward a post-war Syria that made a place for the rebels (as opposed to a return to complete one-party Baath rule). 5. Retain strong relationships with Syria’s neighbors–Turkey, Israel, Jordan, Iraq and Lebanon. While the plan to defeat ISIL with the help of the Kurds worked, it is being interrupted in its last stages by the Turkish invasion of Afrin, one of three Kurdish enclaves in northern Syria and the only one where US troops were not embedded. YPG militiamen have deserted the front lines with the last ISIL holdouts to run off to Afrin to help defend it against the Turkish incursion, which is being aided by Arab fundamentalist militias of the “Free Syrian Army.” There are fears that ISIL will stage a comeback if this pressure is removed. Moreover, the last thing the YPG is interested in at the moment is blocking Iran. It is contemplating an alliance with Assad against Turkey. Worse, Turkey has disregarded US entreaties to cease its move against the Syrian Kurds. Turkish officials are on the cusp of taking Afrin, and they plan to move east to Manbij and Kobane after that. There are US troops embedded with Kurdish forces in those areas, so a US-Turkish war looms if the Turks follow through and the US stands its ground. The US is having vastly to curtail its use of the Incirlik Air Base in Turkey, having sent A-10 tank-killing planes to Afghanistan and having sent US dependents home. These moves signal a severe rift in NATO. The US hopes of avoiding a complete defeat of the fundamentalist Arab rebels through the de-confliction zones and then negotiations with al-Assad from a position of relative strength are also fading, as al-Assad and Russia have used the past year of reduced conflict to prepare for a final military push. The Syrian Arab Army is now splitting the East Ghouta enclave near Damascus into three, which will allow it to cut off aid to them and to negotiate with each of the neighborhoods in turn and to separate off the militias that dominate each one. 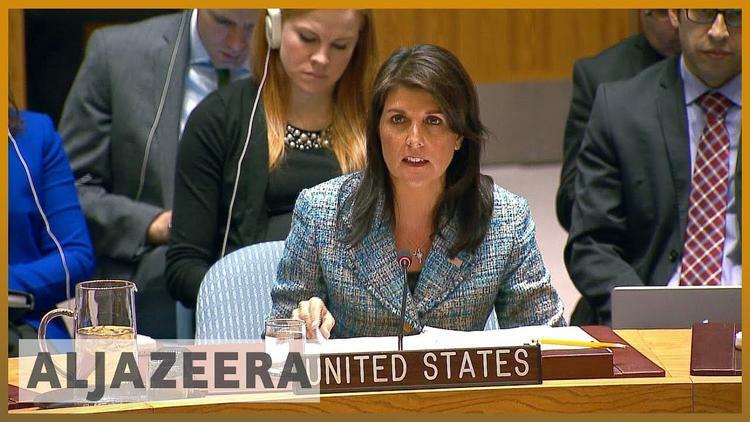 The possibility of the fall of East Ghouta this year impelled US ambassador to the UN to issue a threat of US bombing if chemical weapons were used by the regime. It was an empty piece of bluster, since the East Ghouta operation is a Russian one in the air, and the US will not intervene in a Russian sphere of influence. The Syrian Arab Army has also taken substantial territory up at Idlib in the north. And Syrian and Russian fighter jets have begun bombing the southern rebels around Deraa after the latter announced that they would begin an operation against the regime (presumably to relieve East Ghouta). US strategic goals, with the exception of the defeat of ISIL, are being negated one after another, and whether ISIL in Syria can be permanently rolled up is now in doubt.